Show your grainy pictures to friends and family, and look at the fake grins on their faces. The compliments aren’t real. The congratulations are false. They see a grainy black and white image of a blob of potential human. You can show them how gorgeous your baby truly is. It’s about time people pay attention to their child’s beauty from the very beginning. The only way to gain the advantage in the head-to-head (or kind of formed cranium-to-cranium) competition in infant beauty is to dress up. From Day Zero you can make your child gorgeous. 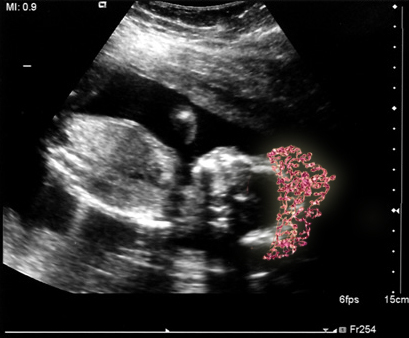 Either through extensive Ultrasound retouching, or miniature tiara insertion, you can have the most glamorous fetus on the block. This entry was posted in Beauty, Pageants. Bookmark the permalink.